I’m not going to lie I was never part of the Jeffree Star cosmetics hype, I just didn’t really bother with it until Shane Dawson done a series all about Jeffree Star and I think I was so shocked and amazed at the series and how Jeffree made a successful life for himself that I was like you know what let’s give these a whirl, it also helped that at the time BeautyBay had a sale on so I tried the liquid lipsticks and fell in love with the formulas and have gathered quite a few lipsticks from the brand since then. 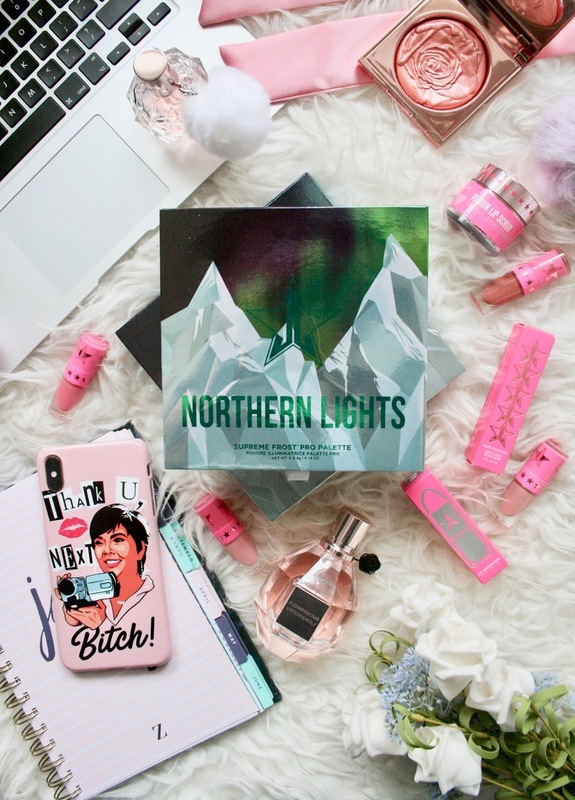 Come Christmas time I received the Northern Lights Supreme Frost palette which contains 6 different highlighting shades and I literally could not contain my excitement and I was so excited to put them all over my face. I had never tried any of the highlighters so I was over the moon to have gotten his latest release to try. Inside the packaging, which I must add is so stunning sits 6 beautiful shades. I will admit some more easier to wear than others but still all so gorgeous. The supreme frost formula is very soft to touch and almost melts under your finger. When applied with a brush they give the most gorgeous glow and the more you apply the more intense they become, honestly I thought with just one swipe you’d be able to see my non-existent cheek bones from space but no they are quite subtle on the first application. I immediately went to Alaskan Ice because of how much of a gorgeous iced white it is and I was not disappointed, it gives the most gorgeous icy blue tone when facing towards the light that it’s just gorgeous. Thawed out is a fab pale pink shade and it’s definitely in my top two shades from the palette. Below freezing will more than likely be my least used shade in the palette I think for obvious reasons. Now if you can pull this off I’m jealous because the colour is so breathtaking when on the skin but I just cannot pull it off with my pale af skin, legit looks like I’ve gotten frostbite on my cheeks when I put it on. Frozen Gold let me down a little I mean to an extent I honestly thought it was going to be a more rosey gold toned shade but it’s much more on the yellow toned side. Still a fab colour though and I definitely will use it. My favourite of all Anchorage. The most stunning peachy gold shade and I’m so obsessed with it. I’ve been wearing this one the most out of the palette because I think it’s so fab and every time I wear it I get asked at least 3 times what highlighter I’m wearing. Finally Artic Sky, when I first saw this shade I didn’t think I’d like it just due to the colour but oh my goodness this is beautiful on the skin. Although a lavender toned shade it just really works and looks so fab swept across the cheekbone. Overall I really like this highlighter formula, it is very different than everything I’ve ever tried and it definitely makes me intrigued to try out the original formula highlighters from the collection just to see how much they differ. These are so silky and smooth and in no way powdery at all. The palette itself is so lovely and I’m definitely delighted to have it as part of my collection because I just know I’m going to use it so much. The actual products inside I honestly thought would be much smaller but the pans are quite large compared to your usual highlighter palette panned products. 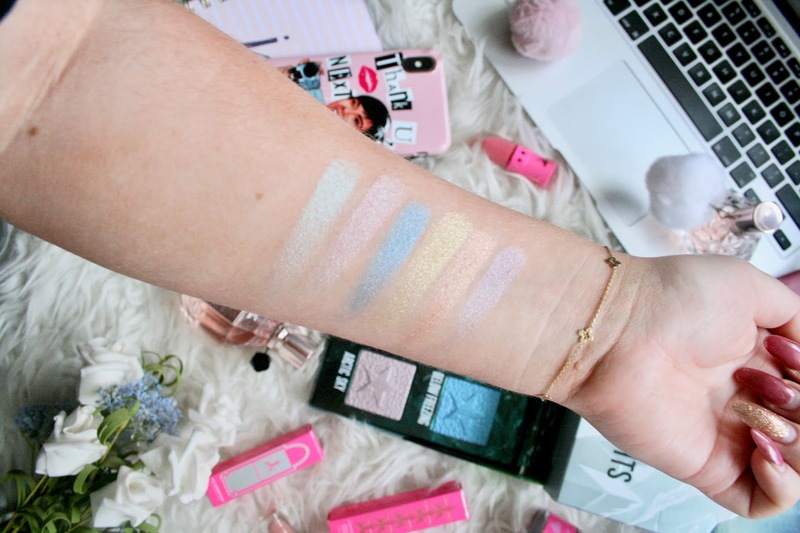 If you’re on the hunt for a new highlighter palette, and maybe you want to experiment with shades that aren’t the usual colours you’d go for I’d definitely recommend splurging on this palette as I really don’t think you’d regret it! 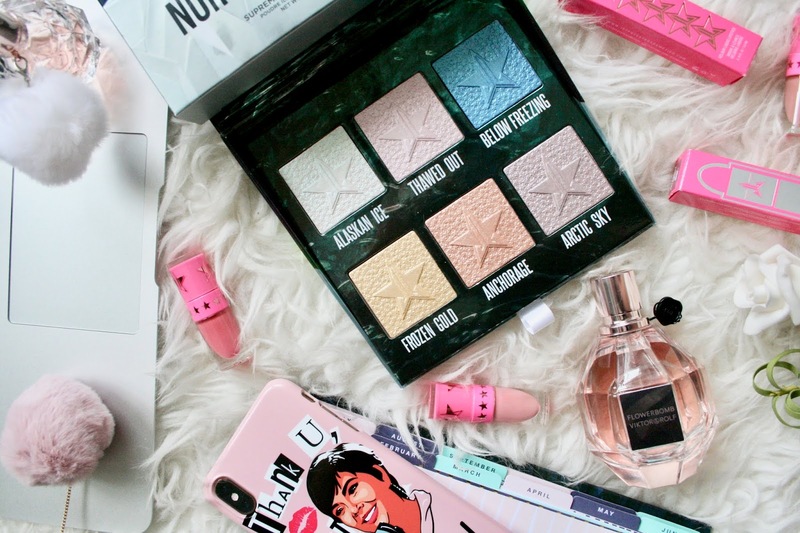 Have you tried any of Jeffree’s products? That packaging and these colours are beautiful. I have never tried any Jeffree Star products so I should probably give this a go!